Temperament: Gentle, affectionate, stubborn , Friendly. Docile. Devoted. The English bulldog is one of the most popular dog breeds in the world because of its compact stubby legs and muscular physics. Their body is dense and stocky and the head is wide and large. The main hallmark of them is folds of skin around the face and dropping cheeks. The English bulldog is a decedent of ancient Mastiff breeds. Experts think that ancient Mastiff has been mixed with English Terrier, and that was developed in England. It was noted in the 16th century that breed exists. Today, English Bulldogs are bred in order to be companion dogs, however, in the past, they were bred in order to bait bulls, which means that they are strong and have vicious fighting spirit. English Bulldogs can reach 40 cm in height and 25 kg in weight. The name derived from the bull baiting practice, the main reason why they were bred in the first place. Their strong body is paired with a determined temperament that comes from their history of fighting bulls. The English Bulldogs were admired because of loyalty and determination. 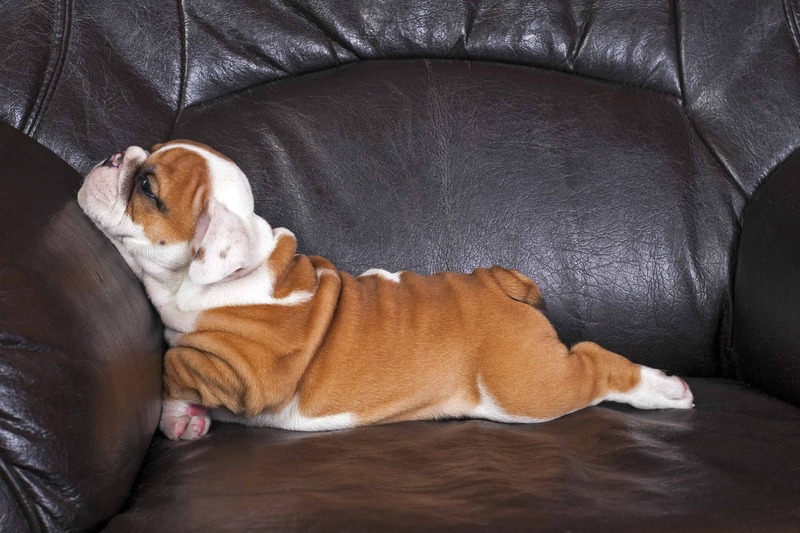 The English bulldog is even-tempered and gentle breed. Even though they have intimidating appearance because of the history of fighting, through selective breeding they obtained great qualities. They are very people oriented and need human attention. They are especially protective and great with children. However, they require much attention. They are not too energetic, but in case that you want to exercise them, they will be enthusiastic. It is important to walk them once a day. Brachycephalic Syndrome – This particular condition is the most common among English Bulldogs because of stubby and shorter noses. That condition occurs when airways are obstructed, during the extreme heat. Bulldogs cannot regulate the heat during the summer, which means that you have to adjust temperature indoors for its wellbeing. Get PetCare for your Bulldog, because they are prone to get ill. The English bulldog was used to bait bulls because it was believed that rage before slaughter can make meat tenderer. 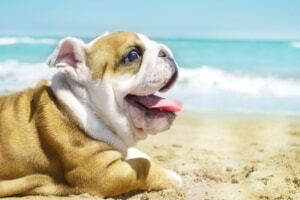 English Bulldogs hate the heat because they cannot regulate body temperature.